My latest song, Intermission, is a song about risk taking, leaps of faith and unlocking the incredible God-given potential that lies within each one of us. I wrote this song during a very recent transition in which I left my day job, working in corporate PR, to pursue songwriting and music full time. With Intermission, I wanted to give an honest account of the process leading up to taking that leap of faith from ‘certainty’ into the unknown. Rather than a song of resolve - a conclusion to a leap of faith paying off - this is a song for those in the middle of the process, who haven’t yet seen whether they will make it to the other side of the leap, but who are holding firm to faith as they step out and launch out. Based in London, UK, I've released four records to date. My first solo project, Come and Breathe, is an EP of five original songs that carry a message of devotion and adoration for the Lord. I released Heartbeats, an upbeat pop track, in Summer 2015 which went on to be featured on the David’s Tent live album. In December 2015, I collaborated on a project with 3 songwriter-friends and culminating in an EP, Love Untold, which features the song, Don’t Hide. This ambient electronic track explores the theme of living with a heart that is vulnerable and unashamed. In April 2017 I released my first live album, Created to Worship with my band of exceptional musicians. Recorded over two nights in London, Created to Worship is my first live album. Featuring 10 original songs, and an incredible 14-piece band of musicians and singers, the self-produced album is by far the most ambitious project I've been involved in so far. The invitation to embrace lies at the heart of this album. First, knowing above everything else that we are forever embraced by the unconditional love of God. From that place, learning to embrace our own individual value and to love who we have been created to be. And from there embracing the wonder and diversity of the kingdom of God and its reflection in humanity - you, me, others. The discovery that we are created to worship is at one and the same time the discovery that we are created to receive the embrace of God, to embrace Him in return, to embrace ourselves and to embrace others. Reflecting the multi-faceted nature of worship, the songs on this album invite the listener into moments of joyful celebration and also tender reflection as it explores the themes of freedom, intimacy and wholeness that is found in the love of God. Sonically, the album embraces a spectrum of different styles and genres, drawing inspiration from jazz, gospel, soul and pop to create a rich and colourful musical tapestry. The question, “What does it mean to be created to worship?” has no simple answer. It is our eternal pursuit as followers of Jesus. This album offers an expression and a response, inspired by my experiences and encounters so far along the journey. 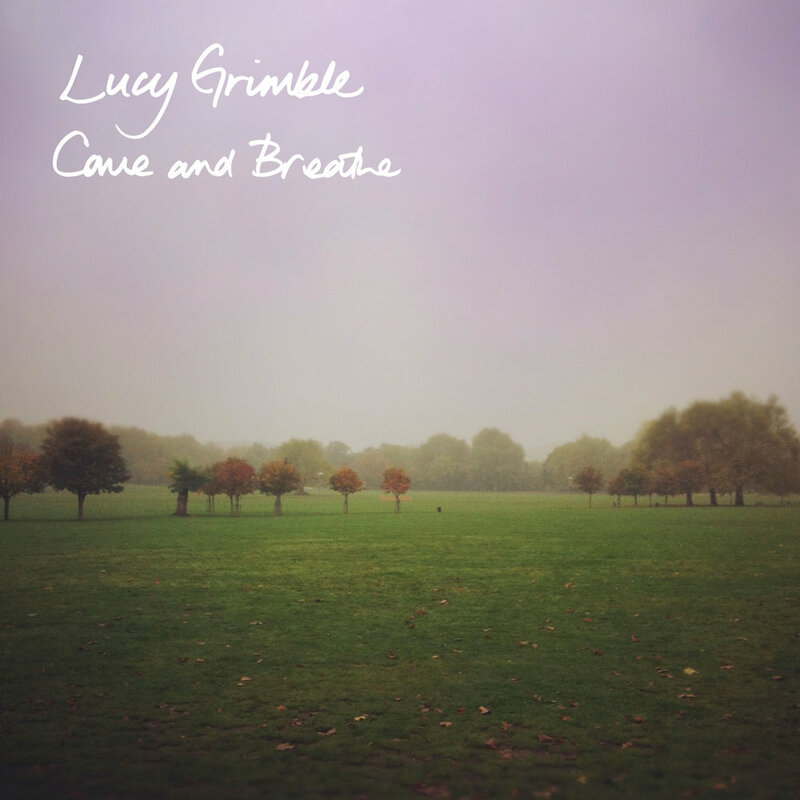 Come and breathe, my debut EP was recorded in the Summer of 2014. These 5 songs carry a sound of hope, trust and intimacy with the Lord. Recorded in Summer of 2015, Heartbeats is my second studio record. An upbeat pop track and a simple prayer to live a life that "beats in time with God". This song went on to be featured on the David's Tent Live Album.